There’s just something about a small town Christmas Parade! Sponsored and organized by the Clayton Rotary. 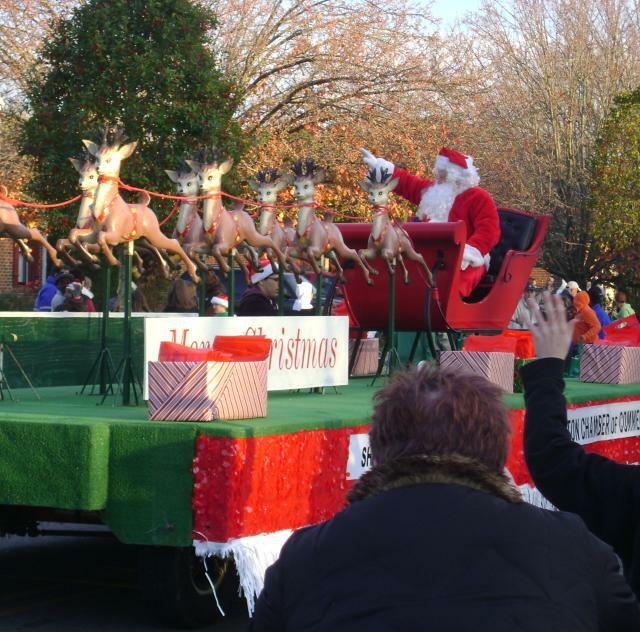 The event features more than 100 colorful floats, booming marching bands and of course, Santa Claus! Join us along Main Street on the second Saturday in December at 3:00 PM to grab a front row seat anywhere from Smith Street to Robertson Street. Join us Saturday, December 8, 2018 in Downtown Clayton!